Wow. I just realized that yesterday was my 6 year blog anniversary. My very first post was a round up of posts about then-Judge Alito. 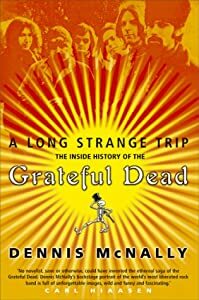 What a long strange trip it's been! But what a fun ride! Thanks to everyone for your support and friendship. That's what's made it all worthwhile! Also, congrats to 2 other bloggers celebrating blog anniversaries: my technology law blogger colleague, Bob Ambrogi (9 years blogging and arguably the original technology law blogger) and my fellow New York law blogger, Eric Turkewitz (5 years). Just a quick note to thank you for crediting my Mifi account in the amount of $267 and for terminating the 2-year extension of my Verizon contract. I am especially appreciative that you did this for me given that I never actually authorized the purchase of a Blackberry (a Blackberry, of all things--the horror!) using my Verizon account. It would have been nice if you were able to provide me with more information about the fraudulent activity on my account aside from "We think it was an inside job." Whatever that means. And, from the standpoint of the person who was the subject of said fraud, it was disconcerting, to say the least, when your fraud representative informed me that it would be 2-3 months until the "fraud team" would be able to advise me as to the specifics of this fraud, on the off chance that they were actually able to figure out how it occurred. Unfortunately, "all we know right now is that it occurred via our website" isn't very reassuring and provides me with no direction in terms of how to go about preserving my identity in the interim. Did someone provide my date of birth? My social security number? My Verizon account password? My mother's maiden name? Where was the person located who authorized this purchase? What was the person's name? Or did an employee simply access my account via your system and authorize the purchase internally? It makes a difference, you know. And, apparently, you guys don't have a clue. Oh and while I'm at it, thanks for failing to adequately train your employees regarding how individual Verizon accounts work. Once I learned of the fraud, I requested that the ability to make purchases using my account be turned off. I was advised: 1) by Customer Service rep #1 that I would have to talk to the credit department 2) by Customer Service rep #2 that she turned it off, and then a few days later 3) by a Fraud Services rep that it wasn't turned off and if I chose to turn it off, I would have to pay my monthly Mifi bill in in CASH at a Verizon store. So, as it stands, despite my wishes to the contrary, equipment purchases can still be made using my account, which was recently fradulently accessed for that very purpose. FYI, I was advised that my Mifi account contract expires next month. Guess what I'm going to do once it expires? Thanks again Verizon. You guys rock! 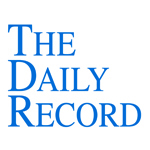 This week's Daily Record column is entitled "New York Courts Grapple With Social Media Mining." According to the Pew Internet and American Life survey, as of May 2011, 65% of adults in the United States use social media sites. In other words, the majority of Americans participate on social networking sites like Facebook, LinkedIn and Twitter and share the minutiae of their day-to-day lives with their families, friends and even absolute strangers. Some of the status updates and photos are shared publicly and others are locked away behind the privacy settings of the different networks. Not surprisingly, the data shared on those sites, whether publicly or privately, creates unimaginable amounts of evidence, ripe for the picking, assuming courts allow litigants access to it. And that, folks, is the million dollar question: How and when can litigants mine social media for use in litigation? Although social media use became increasingly common a number of years ago, courts are just now grappling with the discoverability and admissibility of social media evidence, as lawyers begin to realize that the relevance of social media evidence to many different types of litigation is simply undeniable. For that reason, over the past year, at least two New York cases addressed the issue of whether social media evidence was subject to discovery in civil litigation. The first was Abrams v. Pecile, 83 A.D.3d 527 (1st Dep’t 2011). In Abrams, the plaintiff filed suit seeking damages for, among other things, conversion and intentional infliction of emotional distress arising from the defendant’s alleged unauthorized possession of seminude photographs of the plaintiff. In another First Department case handed down in late October, Patterson v. Turner Construction Company, 2011 WL 5083155 (1st Dep’t 2011), the defendant in a personal injury lawsuit sought access to the plaintiff’s Facebook records created after the incident that was the basis of the lawsuit, including those that were not publicly available. However, the court limited access to the Facebook data and required that the trial court conduct an in camera review “for a more specific identification of plaintiff's Facebook information that is relevant, in that it contradicts or conflicts with plaintiff's alleged restrictions, disabilities, and losses, and other claims.” The court cited Abrams (discussed above), explaining that social media evidence is discoverable as long as it leads to relevant evidence or is reasonably likely to result in the discovery of information related to the claims at issue in the lawsuit. 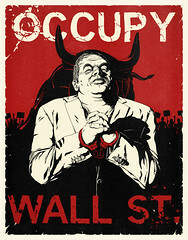 In other words, as I’ve oft repeated, the medium doesn’t change the message. The First Department recognized this fact when it analogized private Facebook postings to a personal diary. The online world of social media, despite being a relatively new and rapidly changing phenomenon, is simply an extension of the offline world and evidence created online should be treated no differently than that created by traditional means. Over the past two years, in addition to my other projects and obligations, I've been very busy writing two different books. First, there was "Social Media for Lawyers: The Next Frontier," a book I co-authored with Carolyn Elefant, which was published by the American Bar Association in June of 2010. 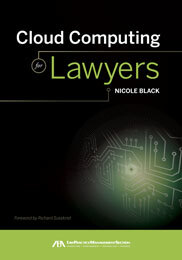 The second book, "Cloud Computing for Lawyers," is about to go to press and is expected to be published by the ABA within the next month. As the publication date for my most recent book drew closer, my thoughts were drawn to the possibilities of my next major project. I had two different book concepts in mind and was considering submitting a proposal or two and seeing what came of it. Instead, a new and exciting opportunity unexpectedly presented itself: becoming an analyst for GigaOM. For years now, the GigaOM blog has been one of my favorites. It provides interesting, relevant content with a focus on emerging technologies, including cloud computing, mobile computing, social media, Web 2.0 collaborative tools, green technology and more. GigaOM's focus squares perfectly with my passion for emerging technologies and for that reason, I've always enjoyed GigaOM's content. I read the blog on a daily basis and frequently share links to GigaOM blogs posts with my followers. So when I was offered the chance to become a GigaOM Pro analyst, I simply couldn't pass it up. For those unfamiliar, GigaOM is a cutting edge startup that recently raised another $6 million in funding, for a grand total of $14 million. GigaOm now claims more than 4 million unique monthly visitors across its sites, a number that’s growing 30 percent annually. According to Walborsky, the company doubled its revenue in 2010, thanks largely to GigaOm Pro. It’s on-track to double that revenue yet again this year, and to become cash-flow positive by the end of 2011. GigaOM Pro was created to address the gap that exists in real-time expert industry analysis on emerging technology markets. Every GigaOM Pro subscription includes instant access to hundreds of pieces of original content, including research reports, daily and weekly updates, expert columns, and must read links.